Dr. Saba's academic work focuses on upper aerodigestive malignancies, namely head and neck and esophageal cancer, as well as the clinical development of novel agents and therapeutic modalities. 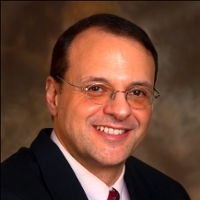 Nabil F. Saba, MD, FACP, is a Professor in the Department of Hematology and Medical Oncology and holds a joint appointment as Professor in the Department of Otolaryngology at Emory University School of Medicine. Dr. Saba serves as Director of the Head and Neck Cancer Medical Oncology Program at Winship Cancer Institute of Emory University. Dr. Saba is a recognized expert in immunotherapy for head and neck cancer. His work is focused on translational research and the study and development of novel therapeutic agents and modalities in head and neck and esophageal cancer. He leads several clinical trials and chairs national as well as investigator initiated multi-institution studies focusing on novel approaches for treating these diseases. Dr. Saba is the elected Chair of the National Cancer Institute's task force for recurrent metastatic head and neck cancer, and chairs the Rare Tumors Task Force of the National Cancer Institute's Head and Neck Cancer Steering Committee. Prior to joining the faculty at Emory University, he was recognized for his outstanding contribution to the fellowship program at the University of Minnesota. Dr. Saba is also an active member of the NRG Oncology and Eastern Cooperative Oncology Group Head and Neck Cancer Core Committee and has served on the American College of Radiology appropriateness criteria panel for head and neck cancer. Dr. Saba earned his Medical Degree from the American University of Beirut Medical School. He completed a Residency in Internal Medicine at Tufts University School of Medicine in Boston, and a Clinical Fellowship in Hematology and Oncology at Brown University School of Medicine. He also completed a Bone Marrow Transplant Fellowship at the University of Toronto Princess Margaret Hospital in Toronto, Canada. Dr. Saba's research is focused on clinical and translational work in head and neck, and esophageal cancer. He has been the recipient of several NIH and industry funded grant support to study these malignancies. He has received funding from the NIH to examine novel genomic approaches for diagnosing HPV positive oropharyngeal cancers. He conducts and leads a number of head and neck cancer clinical trials with a focus on biomarker endpoints. Among Dr Saba's contributions is serving as a co-leader of project 4 of the previously funded Emory Head and Neck Cancer SPORE and serving as a Principal Investigator of the recently submitted Emory Head and Neck Cancer SPORE grant. Dr. Saba has authored more than 150 multiple peer-reviewed articles, editorials, review papers, book chapters as well as two Uptodate chapters. He is the editor of the textbook, "Esophageal Cancer, Prevention, Diagnosis and Treatment." He is associate editor for Head Neck and a member of the editorial board of Cancer, Oral Oncology, American Journal of Clinical Oncology and Cancers of the Head and Neck. He has been recognized as an outstanding reviewer for the journal, Cancer.